Successful betting systems are the holy grail for regular players of online slots but anyone with any knowledge of the technology behind the reels will soon disabuse you of that notion. We don’t want to crush all your hopes in the first paragraph of this article but the Random Number Generators used by the game’s developers ensure that any system will be fighting a losing battle against the long term odds. You need to be playing a 50/50 wager such as heads or tails or a casino game such as roulette in which you can bet on red/black, odds/evens and the like. In the case of roulette the green zero in European versions and the double green zero in US versions mean that your odds of winning are just less then evens. The idea is that you start with a one unit bet and if you win, you keep it and repeat the bet. If you lose you double the wager, meaning a win will put you one unit up; you then return to betting one unit and so on. The longer the losing run you embark on the more doubling up you need to do to stay in profit. If you begin with one unit and suffer nine losses in a row, the tenth bet will be 512 units. While this is fairly sound theoretically with a 50/50 bet, there are drawbacks – nobody has unlimited funds with which to keep doubling up and you may soon also reach the casino’s gambling limit in which case your fun will be over quickly. Playing roulette with this system is even more dodgy as hitting a green zero will lay waste to all your well-prepared strategy. 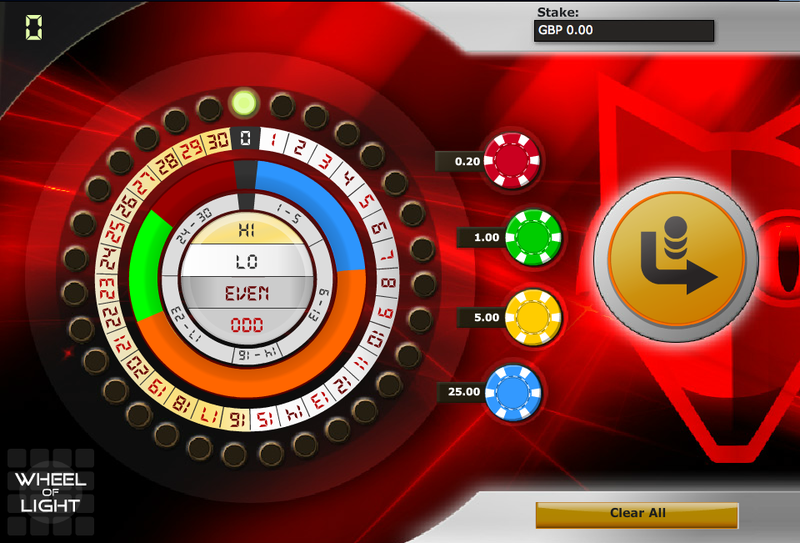 Wheel Of Light – This is a kind of cross between roulette and Wheel Of Fortune; you spin a wheel which is numbered between 0 – 30 so the near 50/50 odds here are Hi/Lo or odd/even. 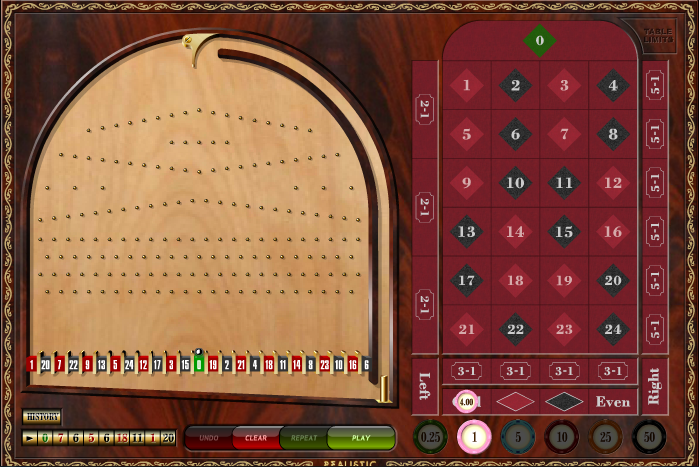 Pin Ball Slots – This is a cross between bagatelle and roulette and the betting table offers various betting opportunities. The near 50/50 odds are left/right, odd/even and red/black so check it out. So there you have a couple of options to test out the Martingale system; we’re certainly not guaranteeing financial success but you can have fun trying anyway.